Date: 10.04.2018 | House, Techno, Minimal | Tags: Weekend Players, 25 Groovy Club Cocktails, Seven Stars Records, Falomir, Stevie Bee, Housephonics, Danger Noise, Mr. 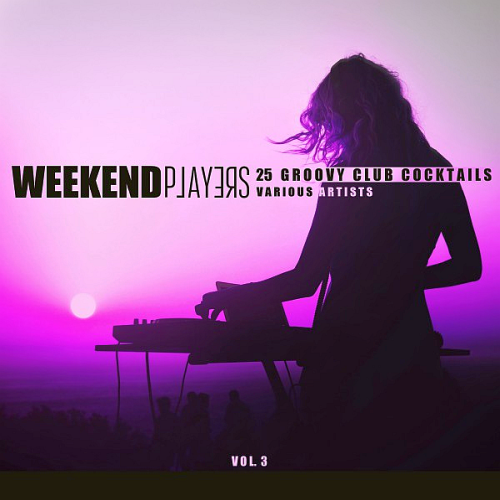 Dynamic, Diego Anniballo | Download Weekend Players (25 Groovy Club Cocktails) Vol. 3 (2018) for free. Jack Light is an evening ambianceur. To create our community, the team offers you daily new music of the day in the register of electronic music. By subscribing, you will discover new artist from the global electronic scene. Thomas Heat Vs. Markus Gonzales massive House, Techhouse release with African influence and huge package! When you listen to the music of Falomir!, you soon realize that his music is inspired by each of the cultures from which this artist has breathed. The nephew of a guitarist and flamenco singer, most of his family are from the South of Spain which may account for his immense passion for this art form. The way he expresses himself when making his music reflects this culture. His distinctive sound is coloured with strokes from various moments of his life, his travels and his experiences.